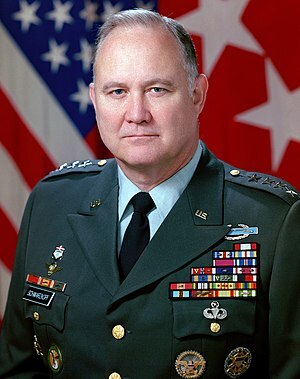 With the passing of General Norman Schwarzkopf on December 27, 2012, a different image of “Stormin'” Norman is depicted in the 2005 documentary, Beyond Treason, than what the mass media presented us with during the 1990-1991 Gulf War. 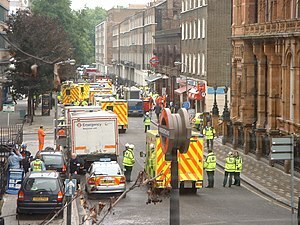 Watch the entire documentary for what is documented evidence of criminal negligence at best, and beyond treason, at worst, on the part of certain U.S. government and military officials involving chemical warfare on U.S. veterans, culminating so prominently in the so-called Gulf War Syndrome. Tune in starting at 54 minutes to hear about Schwarzkopf’s own book, It Doesn’t Take a Hero, wherein he referenced the destruction of chemical weapons depots in Iraq as U.S. troops stood by. Why is Wikipedia so afraid of Pilots for 9/11 Truth? A Wikipedia search for Pilots for 9/11 Truth turns up nothing as of August 25, 2012. Why is Wikipedia so afraid of them? An archive.org search shows their site going back to 2006. Is it because they don’t want certain information getting out to more people, like the organization’s finding that United Airlines Flight 175 (alleged to have hit the South Tower) and United Airlines Flight 93 (alleged to have crashed in Shanksville, Pennsylvania) were still in the air after they were reported to have crashed? For more information Wikipedia may not want you to know about, check out Pilots for 9/11 Truth’s documentary, 9/11: Intercepted, which I have included below.